News and property information on the French property market. 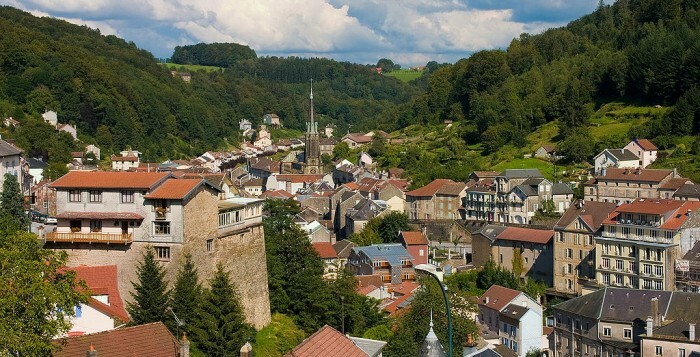 Read our market updates and interesting insights into the real estate market in France. Information on properties for sale in France as well as data and statistical reports on what is happening in the property market in France. Two French economists recently told the world that house prices in France are due to start falling – and will continue a gentle decline for the next decade. Economists Jean-Luc Buchalet and Christophe Prat claim that the era of rising French house prices has come to an end, basing their claim on the idea that the most important single variable that affects house prices is household income. Until the 1990s, there was a strong link between French household income and house prices – about what you’d expect for a prosperous nation with a strong and tightly regulated housing market. But between 1998 and 2011, we saw something very different. During that period, prices rose by an average of 161% across France – and by 278% in Paris. French household income rose by about 31% over the same period, meaning that the historic link between house prices and incomes was well and truly broken. So how has this disparity come about? Essentially, through competition between French people who are spending money on credit. Where the London and new York markets are replete with foreign money, the French market is filled with borrowed money. Add in favourable conditions on loans, mortgages and other financial products and low interest rates, and you have the conditions for people to get while the getting was good. Interest rates have been low, banks have increased the duration of loans and the deposit required for a mortgage loan has fallen. The authors break it down like this: 42% of the house price rise is down to increased mortgage capacity arising from low interest rates; 45% is down to increased mortgage terms; 35% is down to growth in household incomes, adding up to 122% and leaving 39% to be accounted for by fiscal incentives offered by successive governments to stimulate the housing market and encourage home ownership, and to some speculation amongst owners. However, if this sounds like a house of cards, Messrs Buchalet and Prat say that’s because it is. They say the future holds tougher credit conditions, lower household income growth, changes ion France’s demographic profile, and a reduction in fiscal incentives. Mortgage rates are expected to remain historically low for the foreseeable future – in many cases under 3%. However, the era of easy credit is thought by the authors to be at an end, pointing up banking reforms sweeping Europe and giving a nod to the signs that rates will increase towards the end of 2014 and into 2015. Banks have already begin to demand stricter evidence of employment, higher deposits and raised other barriers to cheap, easy credit, bolstering the economists’ case. Lower household income growth is forecast based on high unemployment rates – about 10% for the foreseeable future and higher among the young – and falling or stagnating living standards. Meanwhile, in common with much of the West, France is seeing a demographic shift, as older people over 60 come to predominate. As net sellers of property, this age group tends to depress prices. Household size is also expected to increase. The final nail in the coffin of the French housing boom is the demise of government programs of fiscal incentives that, since the 1960s, have kept the French housing market on the up. These include incentives for construction; these incentives have ben slashed in recent years and are unlikely to be reinstated. In fact, what is likely to happen is a correction, as French house prices fall to match french incomes. If you’re thinking of buying a French house, it might be best to wait. In Paris, the new way to pick up a property is at a vente a la bougie, or sale by candle. While the tradition dates back to Medieval auction rooms, when business was conducted at a more leisurely pace and the darkness was both more ubiquitous and more convivial, it’s been revived in the age of internet banking, when a languid approach to bidding might see you outbid by a telephone from another continent. The spectacle of a vente is such that they’re widely attended by people who don’t have any intention of buying anything. The charm of the event is what they come for. But others come with a clear idea of walking away with deeds, and at the Chambre des Notaires near the Place du Chatelet in Paris, properties worth hundreds of thousands of Euros change hands – by candlelight, in broad daylight. At its heart the vente is run like a normal auction. But there’s no gavel – the candles are used as a timing system instead. Enter a vente as a buyer and you can start bidding when a candle is lit for the property. When no more bids are entered, a second candle is lit. Only when this is extinguished, and the auctioneer has announced the fact – le dernier fou etiente! – is the sale complete. A vente offers a unique bidding environment. It’s much less hurried than the typical British auction, yet far faster than the standard French housing sale, a long-winded process which is binding without being final for several months. When you buy a house in France you pay a deposit as soon as your offer is accepted. 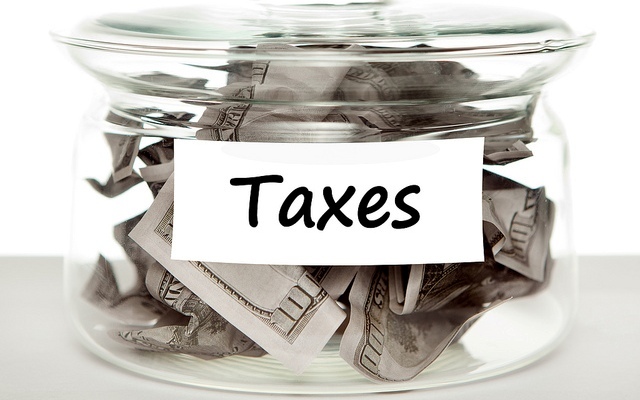 Officials including a notary public are involved and the business of buying can take six months or even more. During that time you’re committed to the sale and financially involved, but the house isn’t yours: you can’t move in or walk away. Contrast that with a vente and you can see that is isn’t just pageantry that makes them popular. After you win the bidding at a vente, you have to pay the vendor within 45 days. As soon as your money is in their bank you’re entitled to take possession of the property. There’s no room for wriggling or gazumping: the market, represented by the people in the room at the time, decides the price in the open and the results are published on the website of the Chambre des Notaires. Despite their advantages, there’s one party involved who doesn’t usually get a very good deal at ventes –the vendor. Search the ventes site encheres-publiqiues.com and you can find the dates of forthcoming auctions and of the properties available (if your French is up to it). You can also find starting prices that make you realize another good reason ventres are well attended, like an Aquitaine chateau starting at £733, 000. That’s great if you’re looking to snap up a bargain, but not so great if you’re the vendor, so many ventre sales are by the government dispensing of the properties of the intestate, or bank seizures. So even if the idea of a ventre doesn’t tempt you, is this a good time to buy a house in France? Knight Frank argue yes, pointing out that their French sales team has received 144% more enquiries than this time last year, and that foreign money is beginning to inflate the French commercial market. 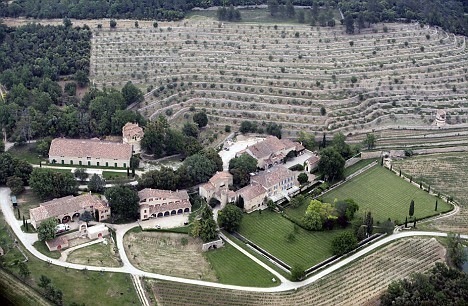 Many Chinese investors, for instance, are in France looking for vinyards. 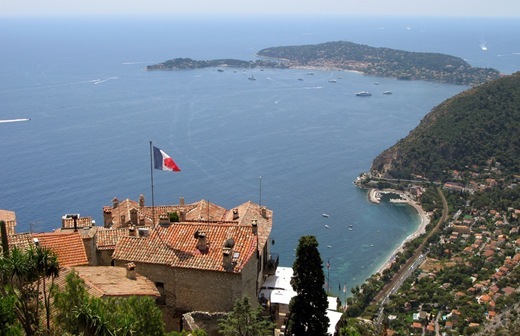 Meanwhile residential sales are healthy and three distinct regions – the French Riviera, Provence and Paris, which Caterine Ryall, of Paris-based agents Sextant France, calls ‘one of the most structured and transparent in the world’ – are performing particularly well. The trend away from ‘fixer’ properties toward turnkey houses, often new builds, is as pronounced here as in Italy, meaning if you’re happy to do some renovation you could step into a bargain – maybe even by candlelight! In the years since 2009, the general trend has been for luxury property to lead the recovery. It’s been a return to health with its roots in major cities and its main support has come from wealthy individuals buying homes: the recovery may have driven up house prices in global hotspots like London and it has created a two-tier housing market, but it isn’t an investor’s market; it’s driven by purchases. Now, though, it’s time for the recovery to take a holiday. According to Savills’ new report, Spotlight on Prime Residential Retreats, the recovery left beachfront properties in former hotspots like the Mediterranean, Alps, South Africa and the Caribbean high and dry while the rising tide floated boats in New York, Paris, Berlin and London. In 2013 that story began to change. A renewed appetite for leisure property saw growth of up to 10% in some leisure property markets, with more forecast. Savills sees recovery in this sector led by Tuscany, the Balearics and the Caribbean – places characterised by the same combination of high quality and low supply that make London’s markets glow red-hot. 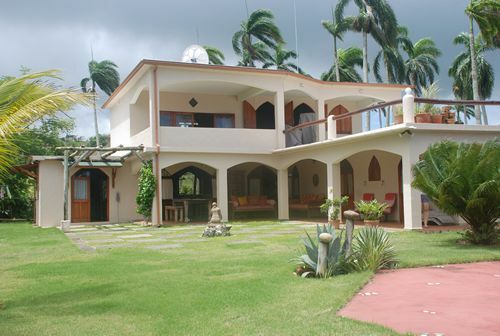 A major player in the new international property market is the investor-purchaser. He’s not looking for a property to make money from: he’s looking for somewhere secure to put his money. Bricks and mortar has always been option number one for the cautious investor, but properties in cities with strong markets are returning to full valuation (some say, and then some), leading investor-purchasers to look elsewhere. Regional cities in Europe have been beneficiaries of this trend already but the markets of Greece, Spain, Italy and Portugal represent too great a gamble. Overseas prime leisure property is the answer. Low interest rates in the Eurozone are another stimulatory factor for this market. As the Eurozone’s governments try to make borrowing cheaper as an economic stimulant, overseas loans get cheaper and more attractive. A final impetus is provided by the ‘Golden Visa’ schemes rolled out by various countries in the Caribbean and elsewhere with varying amounts of fanfare. While they differ in their particulars, these schemes all operate by offering residency status to purchasers of properties above a certain value. 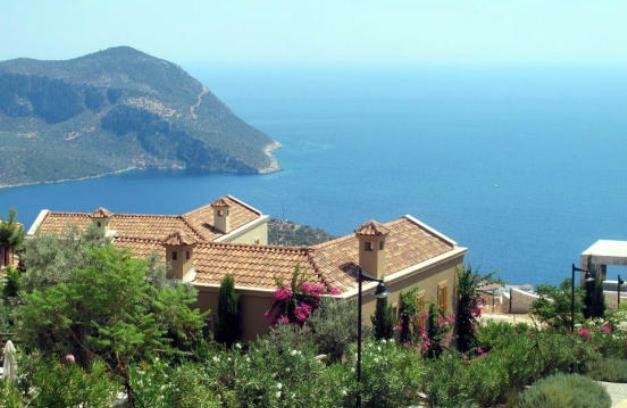 The French Riviera is the most desirable location for second home purchases. The market is recovering, especially in terms of transaction volumes, though it’s starting from a low base. An extremely limited stock, with little opportunity for new builds to match currently available quality, because of stringent French planning laws and the fact that in many cases the age of the property is part of its appeal, must be balanced against increasing demand from buyers worldwide. Supply is inelastic, while demand is growing, making the outlook for the Riviera prices look sunny. The French are seeking to protect their domestic property rental market against overseas buyers. Foreign buyers tend to push house prices up, so it becomes more and more difficult for young people to get on the property ladder. In Europe and America especially, wages are stagnant and their real values are actually falling as costs of living increase. House prices rising pushes up rents and makes governments unpopular, and since the actual causes of the financial crisis seem beyond the power of elected officials to control, it falls to government to attempt to control the symptoms; Hong Kong announced recently that it would bar foreigners from buying certain types of home, and now France has followed suit. The difference is that Hong Kong remains an aspirational island, the world’s freest economy, and the complaints that the system there is unfair are the voice of those who want the rules changed, not those who want to play a different game. The US has a history of voting for rightist demagogues or do-nothings like Hoover in times of financial crisis, but the French have responded by electing the Socialist party. And now the opponents of the Socialist party are accusing M. Hollande and his comrades of driving wealth creators out of the country. 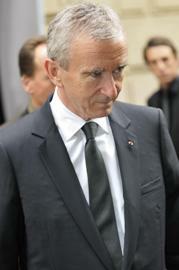 Bernard Arnault is the world’s fourth-richest man, with an estimated personal worth of over $41bn. He is a personal friend of ex-President of France Nicolas Sarkozy, and spent the years of Francois Mitterand’s Socialist government in the United States. Now he hopes to take his fortune, and his position as CEO of LVMH, the luxury goods group behind brands like Louis Vuitton, and move to Belgium. The news came on the same day as M. Hollande vowed to follow through on his electoral pledge to introduce a 75% €˜wealth tax’ on all incomes over €1m. Predictably, the response to both pieces of news has been polarized. Business leaders and rightist politicians have roundly attacked M. Hollande’s policy. Britain’s free market-happy leader David Cameron, who subscribes to the theory that it is entrepreneurs who enrich society, offered to ‘roll out the red carpet’ to people fleeing the new French tax. And Francois Fillon, M. Sarkozy’s old Prime Minister and a candidate for leadership of the UMP party, called M. Arnault’s actions the ‘troubling results’ of M. Hollande’s ‘tupid decisions.’ One Socialist Party MEP pointed up a different angle on M. Arnault’s actions, however, saying, ‘when you leave France, you don’t leave it in difficult times.’ M. Arnault put out a statement saying he ‘is and will remain’ a French citizen, including for tax purposes. Yet while M. Hollande attacks the wealth of the wealthy in approved Socialist style (and reaps the rewards of increased left-wing support at the ballot) his government is also working on ways to make the French housing market more attractive for investors. Just like in the US and Hong Kong, rents are soaring. Just like in the UK, housing is in short supply. So M. Hollande’s government has scrapped the ‘Scellier’ initiative, and set out to get the French property market into more manageable shape. This is to be achieved through a mixture of carrot and stick. The stick is to be an increased tax on empty property, intended to alter the maths of being a landlord so that it’s in rentiers’ interest to rent, rather than to use empty properties as bargaining chips to drive up prices and rents. The French Housing Minister Cecile Duflot told journalists last week that getting 10% to 15% of France’s empty housing stock back into circulation could produce the needed change. But there’s a carrot too, also in the form of taxation. 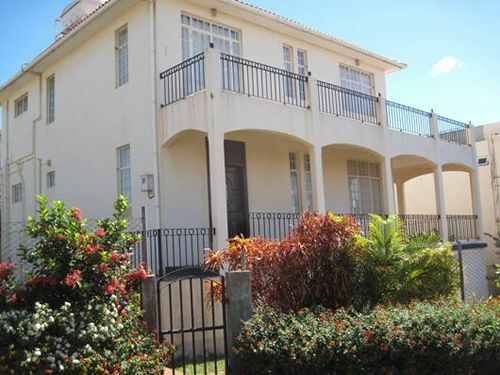 Investors who put in to property developments intended for rent were to be given tax breaks under the ‘Scellier’ scheme, but this has now had to be abandoned in the context of the clamped-down 2012 budget. Sarkozy is attempting to enact social justice by way of the public purse, but as in other European countries, the IMF hold one set of purse strings, and the ECB the other. France’s left-wing government must make their Socialism on the cheap and perhaps without their entrepreneurs, for good or ill.
$65,600. a few years ago that would have bought you a property where I live. Now, that is the average price of a property in Monaco, per square meter. The figure comes from the latest release of Knight Frank’s global index of luxury property prices. According to the index London is the second most expensive at $56,300, but this is hardly surprising given the advent of One Hyde Park, a block of flats with none priced under a million pounds. While Paris’ place in fifth is hardly surprising with a per square meter price of $40,500 the fact that it is at the back of 3 French cities in the top 5 is. Both Cap Ferrat and St Tropez are pricier than Paris with average per square meter prices of $54,600 and $40,800 respectively. We also note the huge gap between 3rd and 4th place. For France to have 3 cities in the top 5 is significant enough but it doesn’t stop there; the French cities of Courchevel and Cannes hold 6th and 7th place in the chart with per square meter averages of $38,800, and $31,900 respectively. The remainder of the top 10 is dominated by Asia, with Japan’s Tokyo in 8th at $28,300, Hong Kong, China in 9th at $27,300 and Singapore in 10th at 27,100. Many will be surprised at the absence of Shanghai in the top 10, but it headlined as the fastest growing city, its per square meter price of $17,700 representing a growth of 21% over last year. It is easy to look at $17,700 and notice only how it is way lower than Monaco’s $65,600, so much so that we may partially forget that we are talking about prices per square meter here, in which case even $17,700 is an incredible figure to pay. Of course Monaco is know stranger to such lavish pricing. This is the third year running it has stood at the top of the global luxury pricing table. 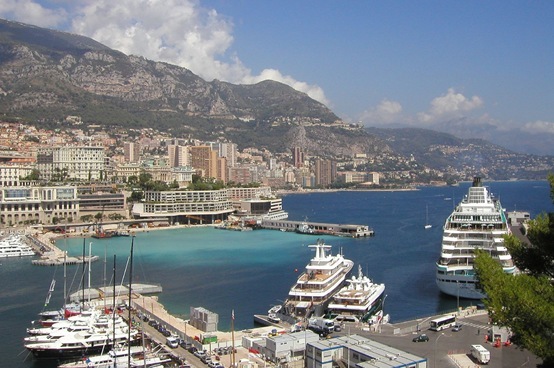 Monaco’s biggest deal last year was the purchase of La Belle Epoque, a 17,500-square-foot (1,600-square-meter) penthouse, for 240 million euros ($340 million) from Christian and Nick Candy in September. The buyer, whose name wasnâ€™t disclosed, came from the Middle East. According to Knight Frank the dominance of established European cities is indicative of a long-running trend: “The real success stories in 2010 confirm the advantages of a global brand and a diversity of demand requirements, like in London, New York and Paris,” said Liam Bailey, Knight Frank’s head of residential research. “Tried-and-tested markets with security of infrastructure and political and legal stability will outperform in the long run,” he added. The French property market, reported to have trundled through the crisis much better than Spain, the UK, the US and many others is now thought to be 2 years into full recovery according to data. The Global Property Guide index, which is regarded as an accurate index because it measures prices after inflation recorded a 1.58% increase in French property prices in 2009, followed by a 0.33% rise in 2010. None too spectacular right? Right, but like so many places, the recovery in France, just like the decline was — is vastly different on a city by city, region by region basis. Equally, the holiday home market is now thought to be in recovery, but again, depending on what segments and locations you look at. Data from the French National Association of Estate Agents shows that Paris apartment prices (per sqm) grew 9.7% in the year to end the third quarter of last year). According to the French National Association of Statistics, French property prices grew 13.8% during the period. Growth was equally strong in the suburbs surrounding Paris, with a 12.07% y-o-y growth in Ile de France — the entire Parisian metropolis, an 11.6% growth in the Petite Couronne (Little Ring) and a 9.12% growth in the Grande Couronne (Large Ring). During the same period property prices in France grew by just 0.6% according to the Statistical body. An article in the Guardian shows the same tale can be told of the French holiday home market, not only in the signs of a fractured recovery, but also in the tale of the depression. 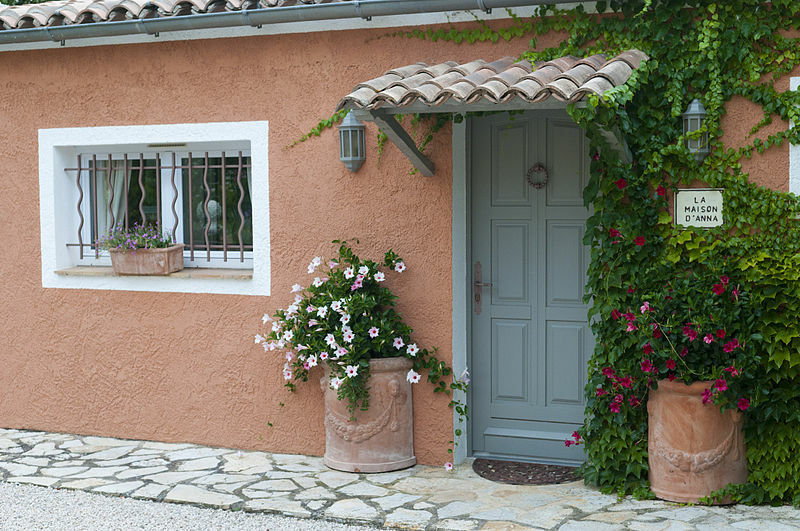 According to the report foreign buyers of French property are typically better off than those buying in Spain, and are buying at the mid-top end of the market. It is little wonder given the reportedly huge problem of oversupply of holiday accommodation at the lower end of the market. The Guardian quotes a Richard Dale, from his blog (blog.rhf-international.com) about running a Gites rental business in France. Dale who moved to France in 2003 to run an estate agency tells of the massive growth in the number of Gites complexes. “The number of tourists has risen, but nothing like as quick as the amount of accommodation,” says Dale. Lanisha Butterfield of Holiday Lettings.co.uk explains that in order to achieve good occupancy rates, Gite owners are cutting rents. Tourists can easily find that hiring a cottage for a week in France in high season can be cheaper even including ferry costs than a comparable property in Cornwall, said Butterfield. Graham Downie, who runs Cognac Property in western France talks of buyer’s moving away from the oversupplied Gite market towards higher end properties. “In the area around Cognac I’ve seen a move away from the seemingly obligatory gate complex. Most of my searches now are either for family homes in good condition, with views over the vineyards, priced between €250,000 (£217,418) and €400,000 (£347,767), or for townhouses with a small garden or courtyard between €200,000 (£173,883) and €300,000 (£260,825),” says Downie. Unsurprisingly then the decline and recovery in the holiday home market are both unbalanced in favour of the high end segment. According to the Guardian French property prices have fallen around 10-15% over the past 5 years. New build properties, including Gite complexes fell in price by 20% on average in 2009 alone. Unsurprisingly the recovery would follow the same logic. 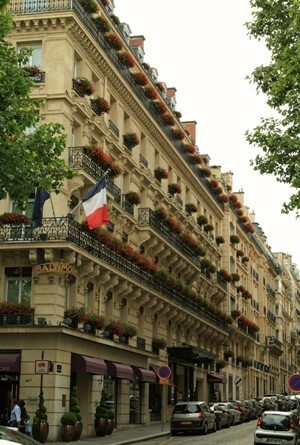 Contradicting the National Association of Statistics, the FNAIM says French property prices rose 6% in 2010. However other reports tell of prices in the oversupplied Gite segment still struggling, as are new build properties, and less affluent areas, with price growth in the mid-high end skewing the overall picture. French Property Prices Stable or Stagnating as Paris Grows? 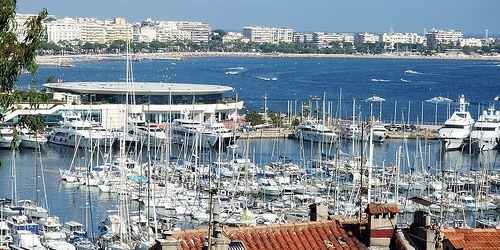 The French property market is performing well of late, but one can’t help but draw similarities to the UK where prices rose on low rates and supply throughout 2009 and into the first half of 2010, but fell throughout the second half of 2010 after the government abolished an additional cost on selling houses causing supply to increase. But the biggest similarity comes from the fact that prices are growing rapidly in Paris, and what some call stability in the rest of France was being called stagnation by the UK’s bears in 2009 as London and the south outgrew the rest of the nation. In one of our celebrity round ups earlier this year we talked about Brad Pitt and wife Angelina Jolie’s new French chateau estate in the South of France. 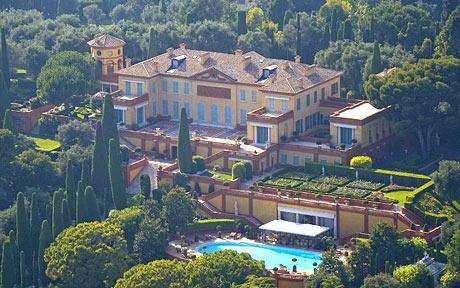 The £35 million chateau in the French Riviera features 35-bedrooms and is set to be the new home of the Pitts to raise their plethora of children. In today’s investment markets, a sure thing is hard to come by. In 10 years of investing in and scouting non-U.S. real estate markets, I’ve discovered something that comes close just once. And the phone call I had with a contact in Paris convinced me that this strategy remains the closest you’ll get to a sure thing in the international real estate investing game.